Eshan Sharma, A teen blogger, poet, writer and a journalist as well. 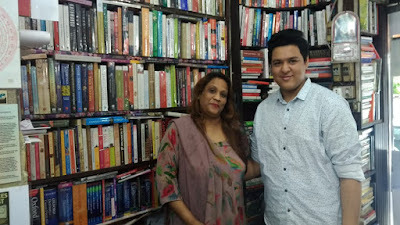 Today we have Mrs.Neelam Saxena Chandra, A great Writer and a human as well. 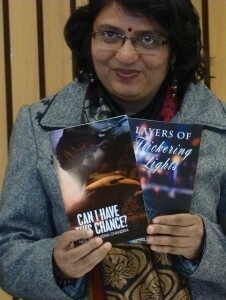 Books: Can I Have This Chance, Soul Seekers, Chanda, Geet Gaata Chal and so on. I am basically an Electrical Engineer and an officer from IRSEE cadre, presently on deputation to U.P.S.C. as Jt Secretary. 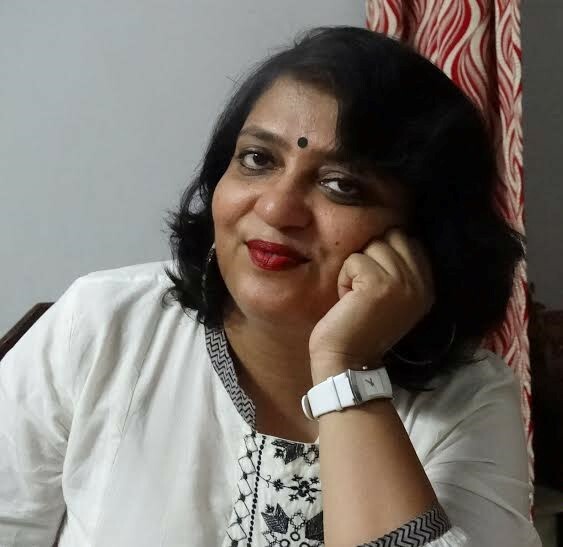 Writing is my passion and I have written 2 novels, 4 short story collections, 17 poetry collections besides few children’s books. My childhood was spent in the lanes of Nagpur, wondering and observing the nuances of life. I did my Engineering from V.N.I.T., Nagpur. After that, I also completed P.G. Diploma in IM&HRD and also in Financial Management. Recently, I underwent a short course in Finance from London School of Economics. During my childhood, I had an equal inclination for Mathematics as well as Literature and I had often thought that if I don’t get admission into Engineering, I will study Journalism. However, as luck would have it, I studied Engineering and enjoyed every bit of it. I would jot down poems into my diary that time. Later, when my daughter was born, I would narrate her one new story every day and in 2008, I sent two of them for consideration for publishing in one of the leading magazines for children. Since then, I never looked back. I am a very moody person and I have no fixed schedules. When inspired by a thought or theme, I have even written for eight or more hours a day. And then, there are days, when I haven’t written a word. Social environment in the country inspires me the most and it reflects in my writings. My first book was a collection of five stories for children. The world of children is very exciting. It is that age when one can question why is the colour of the sky blue and not pink or green. Telling them stories gives me satisfaction beyond words. My upcoming novel is “In the flickering of an eye” which shall be published by LiFi Publications. It is a romantic story based in the background of gotra system. My favorite author is Erich Segal. His ability to sensitively deal with human relationships interests me a lot. I don’t travel after deciding to write a novel…my novels are normally based in locations I have travelled earlier which have left an indelible mark in the canvas of my mind. Frankly speaking, I don’t have one favorite book as such. At different times, I tend to like different books. At present, the book which has stirred me is “A Thousand Splendid Suns” by Khaled Hosseini. The author has very delicately handled the upheavals in the lives of the protagonists Laila and Mariam as well as the country in which they live. 11. Million dollar question, are you working on another book? Oh yes! I am at present concentrating on a young adult fiction. 12. Have you written any other books that are not published? Yeah! I am always inking my thoughts and there are a few short story collections for children for which I have yet to decide a publisher. I began to be recognized in public places! Money is becoming a major player in the world of publishing and this saddens me. Write not for the sake of getting published, but for the sake of writing. You will love it. I would like to thank all my readers for reading me. I am here only because of you!